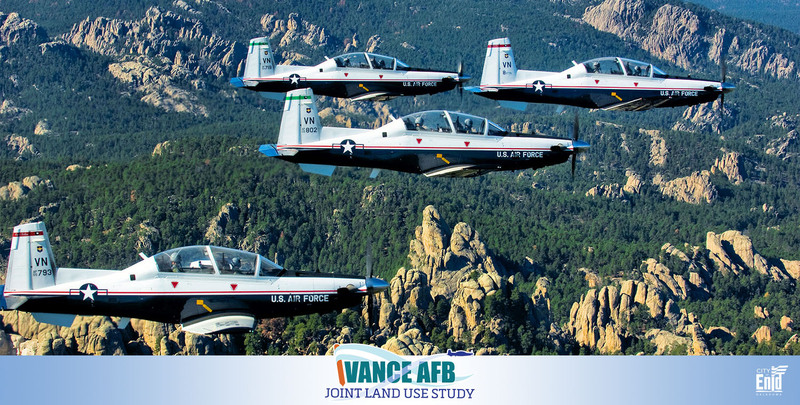 Thank you to everyone who has participated in the Vance AFB JLUS. 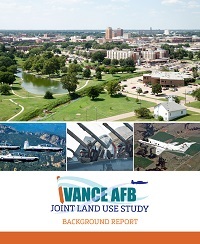 The final documents are based on input and comments from the public, local jurisdictions, and Vance AFB. 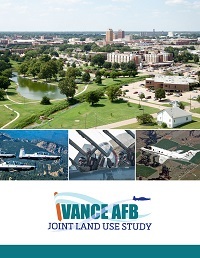 The final Vance AFB JLUS consists of three documents and are available for download below and in the Online Library. Click on the cover image to open a document. 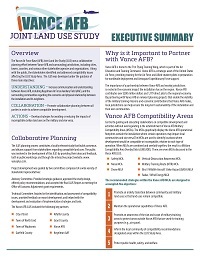 The JLUS Report presents an overview of the JLUS planning process, purpose, and objectives of the study, and recommended Implementation Plan. 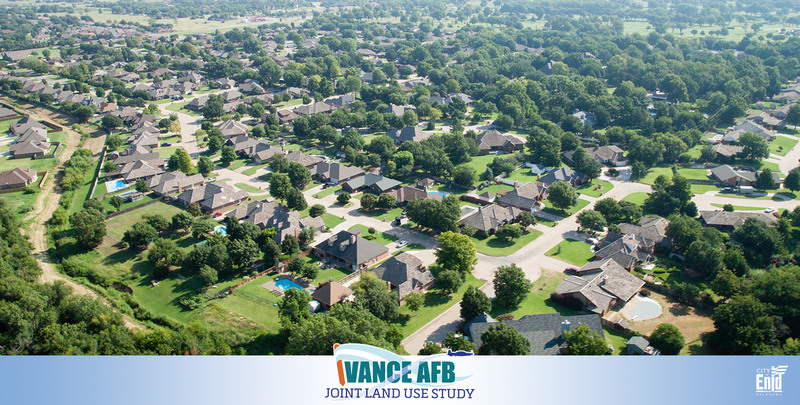 The JLUS Background Report provides the technical background and detailed compatibility assessment that was used to identify and develop the JLUS recommendations. 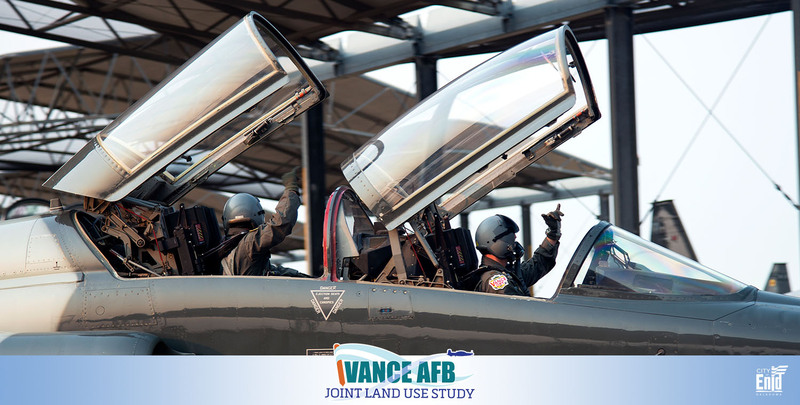 The JLUS Executive Summary serves as a quick reference describing the purpose of a JLUS and providing an overview of the key JLUS recommendations and Military Compatibility Areas. 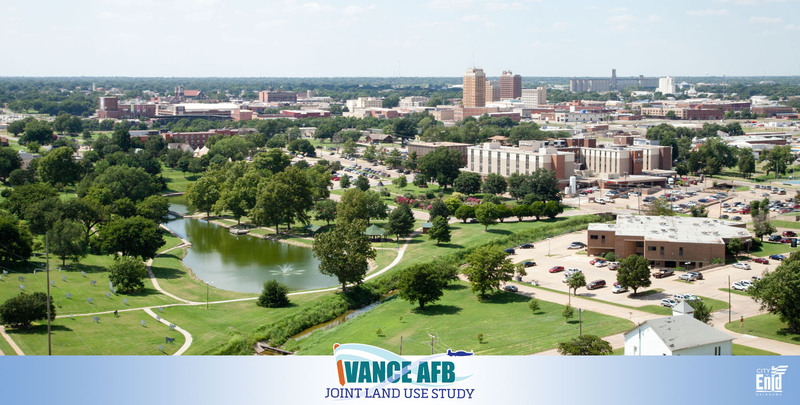 "A technical committee, comprised of individuals such as Bauer and base personnel, is set to meet 9 a.m. Friday to review the draft of the study which will be presented to the advisory committee for the first time at 11 a.m."
Welcome. This will return you to this home screen. Public Participation. Public input will be a major component in the success of this project. Your input is very important in this planning process and the success of this project. The Public Participation section of this website will be updated regularly to include information about the committees working on this project and guide you to upcoming public meetings. Resources. Need a copy of a report or map? This is the menu to look under. All materials prepared for meetings, newsletters, and draft and final documents will be posted here for your review. This section also includes useful links to JLUS stakeholders. Contact Us. Sometimes you cannot make it to a meeting, but you have comments to provide. Use this menu to learn how to contact the Project Manager or use the Comments Tool to the left of this page to send us an e-mail.